You know how important online presence is to any business and how valuable it is to deliver performance. But how well do you understand your users’ path and what makes them engaged? How often has it happened to you to find out specific things about your traffic and make correlations but didn’t know the steps for filtering your data? 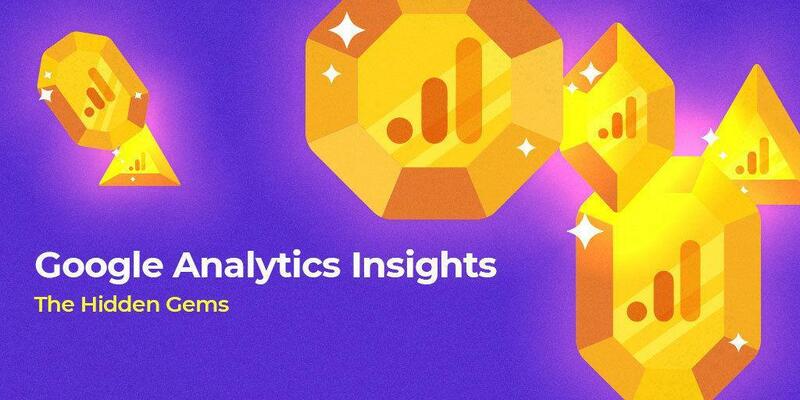 Understanding your Google Analytics results can be hard and tricky, but Google Analytics Insights is the everyday solution. It’s like training for the race and come home with the medals. The great side of GA insights is the personalized list of marketing tips and tricks you get based on the activity of your business. It uses a machine learning algorithm, named Analytics Intelligence, which makes it easier for the business owner to discover what’s important in the pile of data and then take meaningful action. And the best thing of all is that you can ask questions and get directions. Google Analytics Insights offers great guidelines for your website. For starters, you can select some questions from a standard list to get some directions. Straight form the Insights go to list of questions regarding users, traffic trends, content analysis, users behavior, product performance and technical performance. Creating great campaigns and improving your digital marketing results is mandatory for success, that’s why you should keep an eye on Google reports for insights.